Molinha is Mestre's Baixiho student and started training with him in 1986. 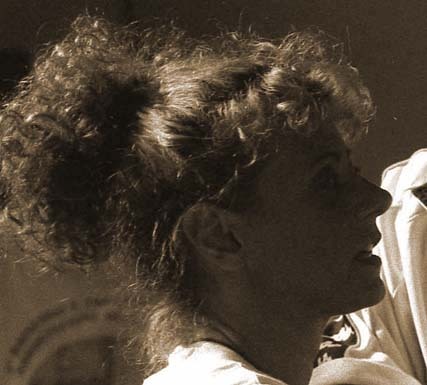 She achieved her formadura at Associação de Capoeira Filhos de São Bento Grande in Brazil in 1997. She graduated at the Casa de Arte e Cultura Ginga Original, São Paulo, Brazil. She is Italian capoeira champion for two categories and was the first italian woman capoeira trainer. In 2007 she was awarded with the "cordao de Monitora". In 2009, Molinha, with the help of her oldest students, expanded the Capoeira Sou group in Athens, Greece, where she is still teaching. In June 2011 she became "Contra Mestra". In 2009, three of the group's oldest students, gradualy took responsibility of the Milan group, where they still teach to date. in 2011, they graduated with the level of "Formado", which is the primary teaching level, and in 2015 they graduated with the level of "Monitor". In 2018 they graduated with the level of "Profesor"
Durbans graduated with the level of "Formado" in 2014. Grilo graduated with the level of "Formado" in 2017. Baritono and Urubu graduated with the level of "Formado" in 2018. Mestre Baixinho achieved his formadura at Mestre Brasilia's Academia in 1982. In 1986 he arrived in Italy to teach capoeira. He is a pioneer of capoeira in Italy. 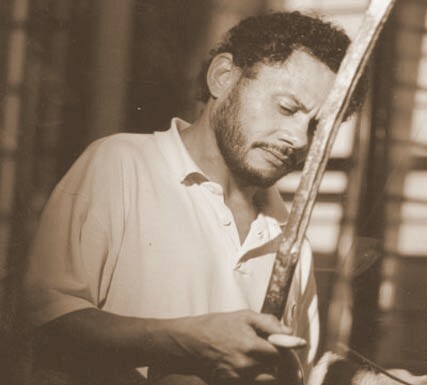 In 1999 he graduates as mestre de capoeira at the Federação Paulista de Capoeira. In 1999 he opened its Academia in Milan. It is the first in Italy. 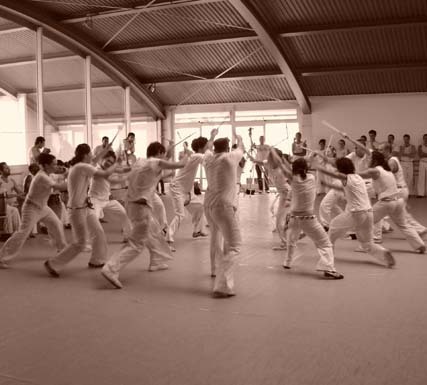 The Academia provides capoeira classes, music classes and other events. In 1991 Mestre Baixinho, Molinha and other Italian capoeira students founded the Associazione Italiana di Capoeira Filhos di São Bento Grande in Milan. In 1997 Molinha achieved her formadura. In 2000 she founded with her capoeira students the group Capoeira Sou Eu. 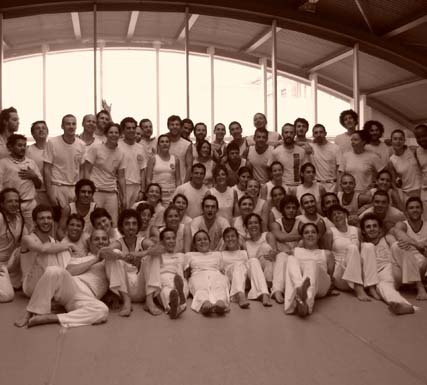 Capoeira Sou Eu is an Italian capoeira group. In 2009 Molihna expanded the Capoeira Sou group by starting the Greek group in Athens. The Milan and the Athens groups meet very often and participate in common activities which always aim at deepening the knowledge in the art of the Capoeira. Molinha and her capoeira students have maintained a friendly and respectful relationship with Mestre Baixinho and Mestre Brasilia. They regularly visit them in Milan and São Paulo. Our group seeks to develop all the elements of capoeira. We give particular attention to the cultural and philosophical side of capoeira. We believe that humility is the key for the growth of the capoeirista. We believe that each one's creativity during the courses, in the technic, acrobatics, jogo, music, singing and playing and in the whole group is very important. 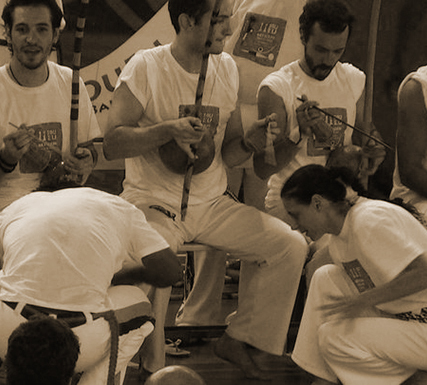 Our jogo adapts to the sound of berimbau, according to the different toques of the tradition of capoeira. For us, capoeira is defesa, ataque e contrataque, not forgetting a florejo?which is the smile of an acrobatic movement.